Luxury Car manufacturers are fighting to get into top the table and they are already spending a huge amount of money in Research and development to improve the design and to add advanced yet out of the box features to its upcoming luxury vehicles. And now Audi the German Based Luxury car manufacturer which is second rank in world is competing against Industry’s biggest Giant, BMW. 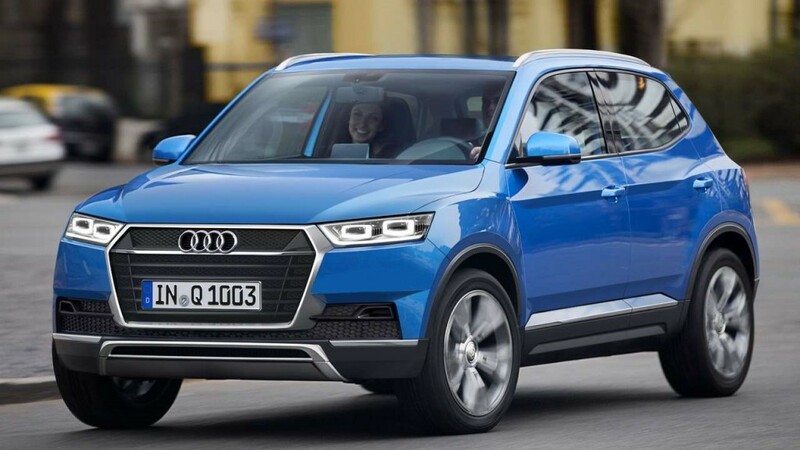 Today we have some news about the upcoming SUV from Audi, the Audi Q1.The New crossover is little brother of Audi Q3 which is named as Audi Q1. This is going to smallest Crossover that have been built my Audi ever since. At present Audi Q3 is an entry level segment product. And the new Q1 will placed below Q3. In terms of engine the A3 will be powered by a 1.4 litre TFSI producing 140 BHP ,250 Nm of Torque. While 1.8 litre engine would produce 230 BHP and 370 Nm of torque. At present Q3 is priced for around Rs.23 Lakhs and the Q1 will be priced around 15 lakhs. The new Q1 will be compact shorter version of Q3. Q1 will be available in both diesel and petrol variant. The schedule release of Audi Q1 is to be 2016. Let us wait for the stunning Q1 to be on road soon.